The days of smaller study rooms, limited operational hours and limited resources at libraries are over for the Durban University of Technology (DUT) students in the Midlands campuses, as DUT has completed a new state of the art library at Indumiso Campus and a major revamp at the Riverside Campus library. 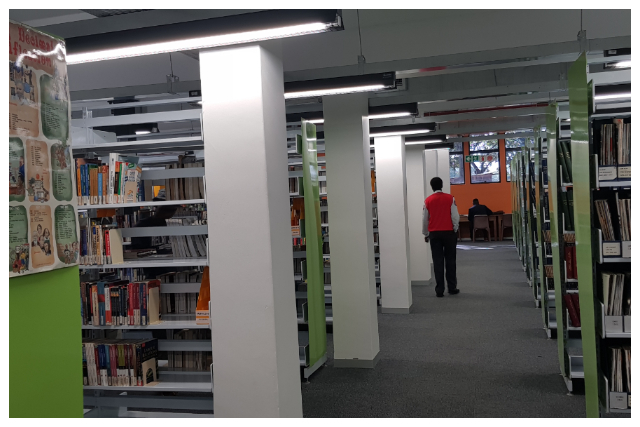 The Conduit visited both libraries and spoke to the exultant DUT Subject Librarian, Lindiwe Gumede based at Indumiso Campus library, and she could not contain her excitement about the new establishments. “This is a major milestone and an historic moment for the DUT Midlands campuses. We are very grateful to Dr Martin Mandew, the Centre Director: Midlands Campus because he has been very supportive of this project,” said Gumede. Asked about some of the new innovative features at the Indumiso Campus library, Gumede said the library now has a 24 hour Study Centre, which offers study area to students after the library operating hours. It also has Postgraduate Research Commons dedicated to Postgraduate students and researchers, a new computer lab for training for approximately 50 students has also been built, social reading spaces for casual reading with relaxed seating and the Writing Centre has also been housed in the new library, previously the Writing Centre was in a separate building. “We now have more group rooms where students can work in groups, we have enough computer facilities for students to do online searches as we have most of our resources available online. There is also provision for the Mobile tech area for gadgets like Ipads and tablets for use by the students, we have printing facilities that allow our students to print, scan and email documents and information and we have expanded study space for students,” said Gumede. She said the Indumiso Campus library will cater mainly for Education, Nursing and Engineering students, but it will also be used by students who are registered for programmes at the Riverside Campus, as some of the students are staying in on-campus residences at Indumiso Campus. “The library is considered the heart of any educational institution, and one of the key DUT Library objectives is to provide enabling learning environments that promote student success and advance the intellectual, social and emotional growth of students. It is also important to highlight that both libraries are user-friendly to both abled and disabled students, and they comply with all health and safety requirements,” added Gumede. She also urged students to take full advantage of these resources. Both libraries are now fully operational, and operational hours for Indumiso Campus library are as follows, 07h30 to 24h00 from Monday to Thursday, 07h30 to 16h30 on Fridays, 08h00 to 16h00 on Saturday and the Study Centre will be open 24/7. Public Relations Management, B-Tech student, Nomlando Khumalo based at the Riverside Campus, also shared her excitement about the refurbished library at the Riverside Campus. “The design is very captivating and welcoming, it is very conducive for studying and the study rooms are spacious, which will enable us to do our group work. I will definitely take advantage of these resources,” said Khumalo.